St. Louis civic leader, minister and activist, Rev. Starsky D. Wilson will be the keynote speaker when the Milwaukee Innercity Congregations Allied for Hope (MICAH) holds its annual gala May 21 at the Italian Community Center. “Racial Justice through Inclusion” is the theme for the event. MICAH will honor Karyn Rotker, Sr. Staff Attorney of the ACLU of Wisconsin; and Attorney Dennis Grzezinski with their “To Do What is Just Award” for their outstanding service representing MICAH and the Black Coalition of Wisconsin and winning $1.3 from the Wisconsin Department of Transportation for new bus routes to connect inner city residents to jobs in the suburbs. In 2014, Missouri Governor Jay Nixon appointed Rev. Wilson co-chair of the Ferguson Commission to study the underlying condi- tions and make policy rec- ommendations to help the region progress through is- sues exposed by the tragic death of Michael Brown, Jr. Wilson is pastor of Saint John’s Church (The Beloved Community) in St. Louis. He is also president and chief operating office of Dea- coness Foundation, a faithbased, grant-making orga- nization devoted to making child well-being a civic pri- ority in the St. Louis region. 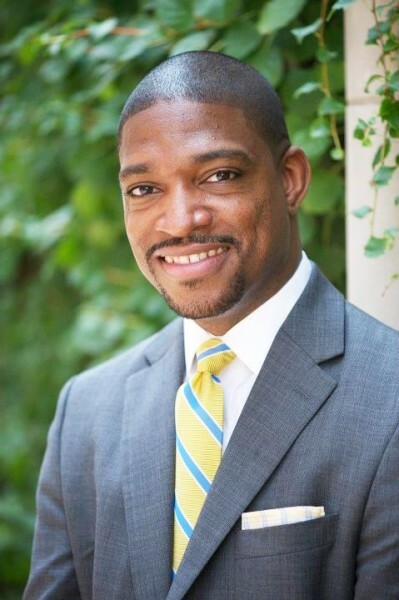 Wilson earned a bachelor of arts degree in political sci- ence from Xavier University of Louisiana, master of di- vinity from Eden Theologi- cal Seminary, and is pursuing a doctor of ministry degree at Duke Divinity School. He is the winner of numer- ous awards, including the St. Louis Business Journal “40 Under 40” and the Urban League Young Professionals Civic Engagement and Social Justice Award. “Rev. Wilson is a man of faith and principles who has tremendous insight into many of the issues that af- fect creating a more just so- ciety for all people,” said the Rev. Willie Brisco, MICAH president. “We are excited to bring to Milwaukee this Afri- can American leader from a community angry and frus- trated in the wake of the white police officer killing an unarmed black man. We face the same issues in here and must unite and learn from each other. I am looking for- ward to hearing about Rev. Wilson’s experiences in the struggle for justice and how he sees us moving forward as a nation in stemming the blight of racism, injustice and inequality.” “We are looking forward to an engaging, informative, and uplifting event,” said Catoya Roberts, MICAH executive director and lead organizer. “We invite the public to join us and welcome the support of our many friends.” Tickets for the evening Gala, which will begin at 7 p.m. Thursday, May 21, are $50 and can be purchased by calling MICAH at 414-264- 0805.